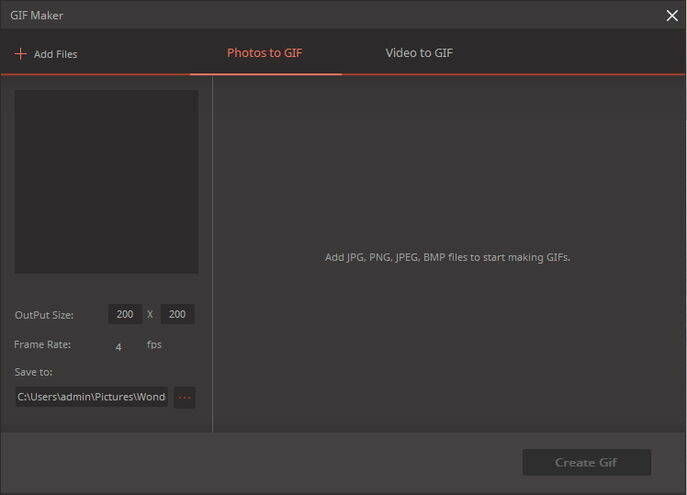 GIF files are popular for featuring animated images and text much like a video, and the tutorial below would tell you how to make GIF in 3 simple steps with the GIF Maker. 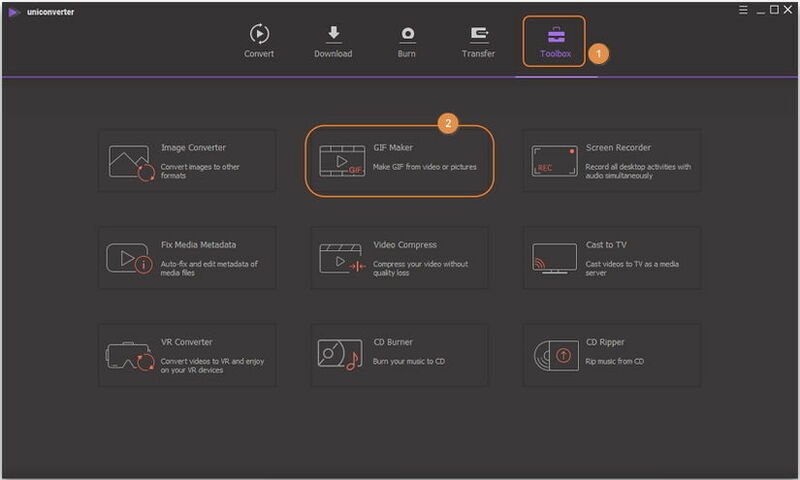 Launch Wondershare UniConverter (originally Wondershare Video Converter Ultimate) after installation, then switch to Toolbox section and click GIF Maker. Then you’ll get a separate window for GIF Maker, which allows you to convert photos to GIF or turn video to GIF. It chooses Photos to GIF by default. Click + Add Files button in the upper-left corner to pick the images you want to make a GIF out of. Note: You can add JPG, PNG, JPEG, BMP files to the GIF Maker for converting. 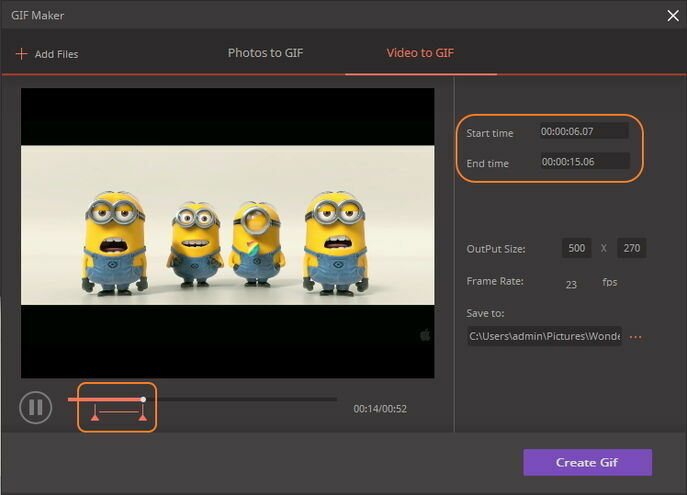 Set the output size, frame rate and file location in the bottom-left area. 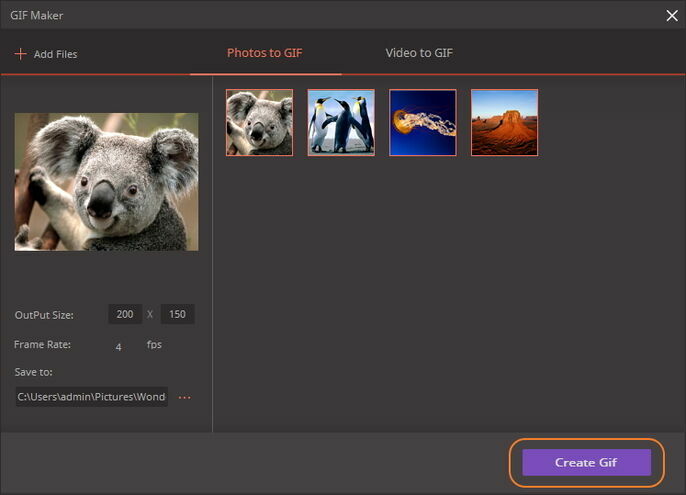 Click Create GIF button to start converting photos to GIF. Note that MP4, M4V and MOV video formats are supported currently. Switch to Video to GIF tab and click + Add Files button to load your desired video. Select the video clip that you want to turn to GIF. You can either enter the specific start/end time into the blank or drag the side lay under the video. Set the output size, frame rate and file location as you need and click Create GIF to proceed. Now you’ve made your own GIFs! Share with your friends and impress them right away.